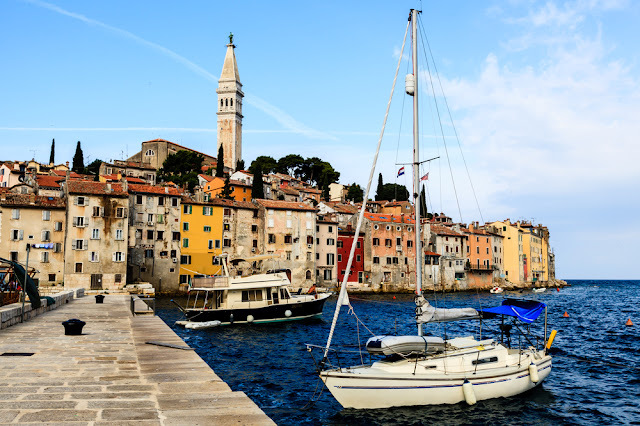 Selecting just a few places for Istria highlights is not easy considering the many historical landmarks, beautiful coastal and inland town centers, and the many other charms that make Istria so intriguing. Rather than being a comprehensive list of highlights to see, this is a list of highlights in Istria that you should not miss. While visiting the highlights listed in this chapter, also explore the surrounding attractions of the town for a full-day experience. The Arena is one of the best preserved Roman amphitheaters in the world and the sixth largest. It was built through different periods, starting in 27 BC, and finished in first century. The Arena is three stories high (almost 33 m), as is the Amphitheater in Verona, Italy, but the Pula Arena is much better preserved. It is 133 m long and 105 m wide, and could seat 20,000 people when built, but only around 5,000 today. Mock-gladiator fights still happen in the Arena and there are many concert and entertainment events scheduled in its open-air atmosphere, especially during the summer. While in Pula, also hop on the Pula bus for a tour through this fascinating city. 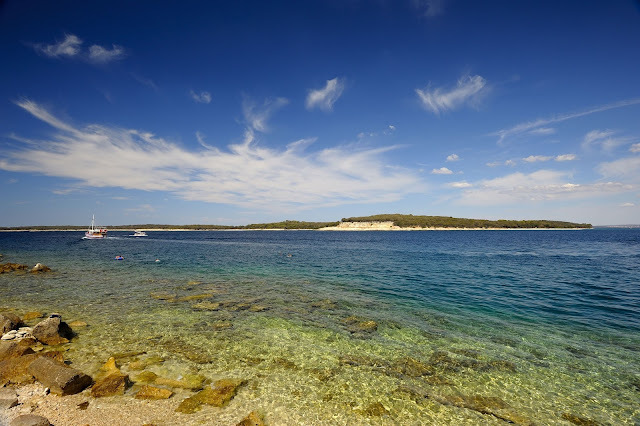 Brijuni National Park is comprised of 14 islands off the SW coast of Istria in the vicinity of Pula. Brijuni is a Croatian National Park and a site of marine interest. Veli Brijun and Mali Brijun, the two largest islands, have been inhabited since prehistoric times, as evidenced by the many archeological sites and dinosaur footprints on the islands. Former Yugoslavia President Tito reserved Brijuni as his residence for over 30 years where he hosted meetings for other international leaders and visitors. The islands can be reached by ferry from nearby Fazana in 15 minutes or you can take sightseeing tour of the archipelago from Pula. St. Euphemia church was built in 1756. Located on the highest point of Rovinj, St. Euphemia church was built in 1756. Relics of St. Euphemia are kept inside the church. Legend has it that in the year 800, the church bells rang in the morning as residents flocked to the sea to find a floating sarcophagus of St. Euphemia of Chalcedon who was killed on September 16 of year 304. Nobody could move the sarcophagus save for a young boy to whom St. Euphemia appeared in his dreams. To this day, September 16 marks Rovinj Day and St. Euphemia feast, celebrated with food and wine. This is just one highlight from Rovinj, the most picturesque town in all of Istria. The Euphrasian Basilica is a masterpiece of Byzantine architecture built by Euphrasius of Thrace, the Bishop of Porec, in the sixth century. It has been listed on the United Nations Educational, Scientific and Cultural Organization (UNSESCO) World Heritage List since 1997 and is the only historical site in Istria listed on UNESCO. While in Porec, also walk the streets of old town. 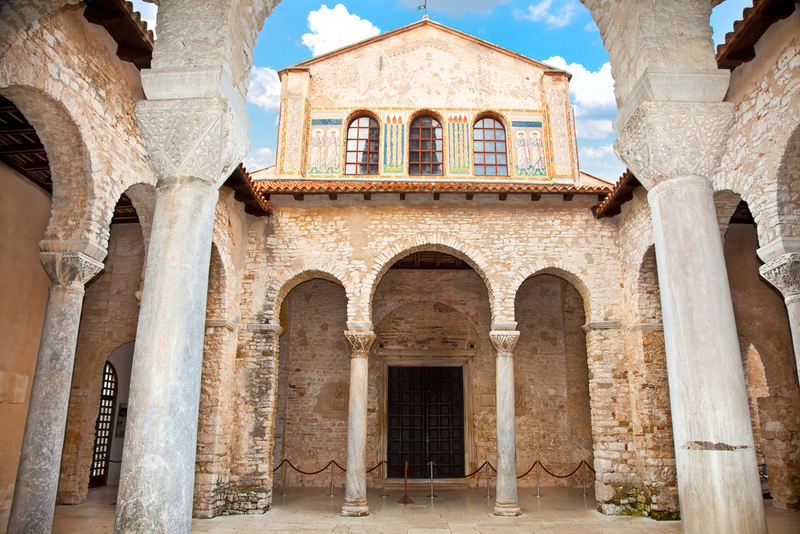 Your Istria experience won’t be complete unless you also visit the distinctive hilltop towns of Istria. The view from the hilltops is astounding, as are the views from valleys below as you approach them. They all have their unique stories to tell, which kids, as well as adults, find intriguing. The most visited inland town in Istria is Motovun, located on an almost 300-meter hill with a view of the Mirna River valley and mysterious Motovun Forest. You can walk the walls of Motovun for a spectacular view of the world below. The town is fully alive at the end of July for the Woodstock-like Motovun Film Festival. Additional highlights of Motovun are listed in Chapter 5. In Istria you must also feast on the delicious food and hearty wine. While in Motovun, stop by the nearby Zigante Restaurant for excellent meals with truffles. They also have a store where you can sample their truffle spreads and various types of wine. Nearby Toklarija and Konoba Vrh are also excellent restaurants serving delicious meals with truffles. Not far from Motovun is Groznjan, the “town of artists.” Groznjan is packed with galleries and art studios. As you walk along the cobbled streets with stone houses, you can feel the artistic vibe. There are special events throughout the year but the town comes fully alive with jazz nights, classical concerts, and various other art events during the summer. Additional highlights of Groznjan are listed in Chapter 5. Istria highlights trip can be completed in a week by spending a day in each destination, or in fewer days if you combine more than one highlight in a day. As you explore other trips in the book, I encourage you to develop your own Istria trip map of highlights that you will explore. I’d be happy to take a look at your planned trip map to provide any additional tips before you finalize your plans.